I want you to have this book so you can experience how the training methods in it can rapidly improve your boxing performance. You simply MUST have this book if you are serious about fighting. Yes Coach Rob... with this package, I understand that I not only receive The Boxing Blue Print E-Manual, but I also receive the 4 FREE Bonuses worth over $225 during this limited time bonus special... and I receive the entire package for a total one-time fee of only $47! Wait!...Want an Even Better Deal? The Vault: My Best Training Q/A This is the first time I have released this vast collection of training Q/A. My Exercise Progressions Manual that gives you more exercise variations for the push, pull, squat, lunge, posterior exercises patterns. 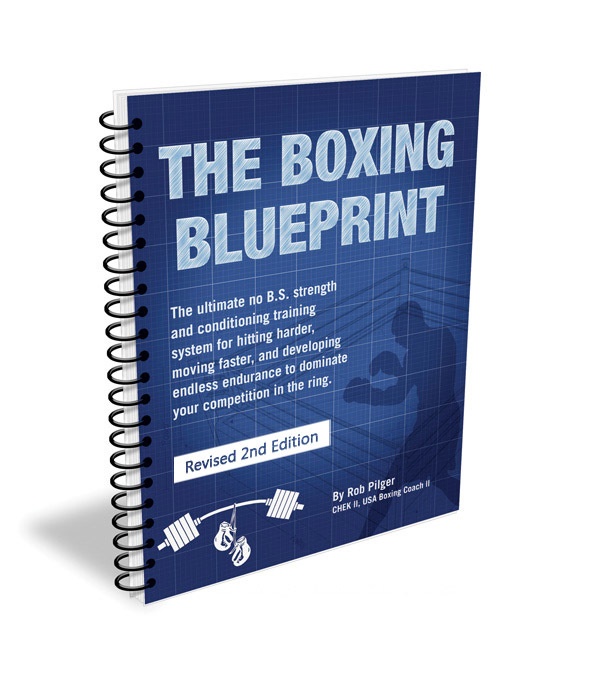 You simply plug these exercises into the training templates I give in The Boxing Blue Print ebook. So you will never adapt or get bored, there's new exercise variations to KO training plateaus! Louie hols nothing back in where many fighters make mistakes in their training and what they can do to instantly improve their strength, power, speed, and conditioning to championship levels. Listen & learn from the Godfather of Strength/Power training! Virgil speaks volumes of wisdom in this audio interview on how amateur boxing has changed for the worst and what needs to be done. He discusses how a fighter can use the amateur system to become better pros. How a pro can ensure a longer more successful career. Business lessons in the pros and more! Listen to a man who out witted Don King on one occasion! This is a must listen interview on the truths of boxing that Virgil went through to be a 5X World Champion! Hell Yes Coach - I’d like to take advantage of the Special Deluxe Package, and claim my five other additional Boxing Blue Print Training manuals & audios. Free Unlimited Month Of Private Email Coaching! Coach, I've decided to pass on the Deluxe Package, and I will go with the Standard Boxing Blue Print System - including the E-Manual, ; and all of the bonuses, including 60 Days of E-mail Coaching.